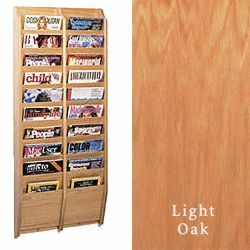 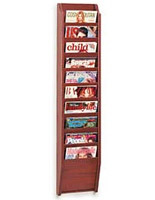 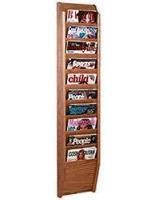 This 20-pocket professional pamphlet rack dispenses reading material with a two-column design finished in light oak. 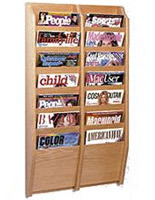 With twenty pockets for publications and promotions, this system is a very useful business tool! 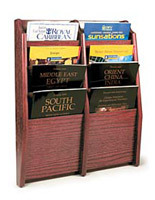 This 20-pocket professional pamphlet rack that is a literature stands system can be same-day shipped when in stock! 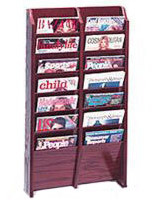 This magazine holder distributes periodicals from its wall mount, which saves floor and counter space! 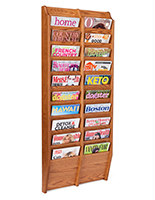 Two columns of ten make this item a best seller! 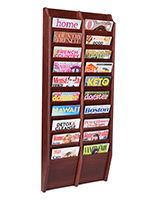 This 20-pocket professional is an eye-catching office accessory!